It's weight loss - the Kaiser Chef's way! Move over "Celebrity Fit Club", "Celebrity Overhaul", ET ALL, because "I Predict A Diet" is here to help (and surprise!) the stars into shape! 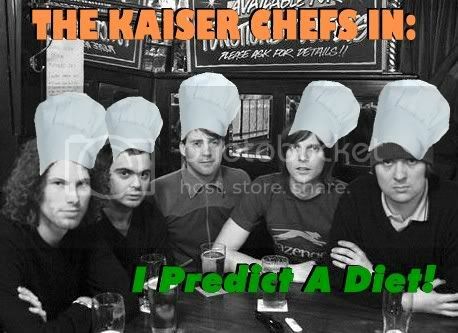 Every week one very special star guest will recieve a surprise at their door - a member of the Kaiser Chef's there telling them 'I predict a diet!' From then on it's time to WHIP them right into shape - with some fun shenanigans and healthy living tips along the way! Every Day You'll Be Eating Less And Less!